As soon as we see, hear or read the words ‘weight loss’ and ‘DIET’, it sends a shiver running down our spines. But here’s the thing, if diets were so successful, surely there wouldn’t always be a brand new ‘better’ trend just around the corner – don’t you think? From Teatox and juicing to the Paleo Diet and Dukan, and now of course the latest trending ‘What the Health’ documentary on Netflix, telling us that meat is as carcinogenic as smoking cigarettes?!! With all of this confusion in the media and on the web, it is no wonder weight loss is the one goal men, women and even kids all over the world, struggle with on a daily basis! Ladies, the fact is you don’t need ANY of these trending fad diets to lose weight naturally. First thing is first; let’s remove the word ‘Diet’ from our vocabulary altogether. The word ‘diet’ implies depriving ourselves and something temporary, therefore non-sustainable. Remember ladies; the body listens to what the mind tells it. 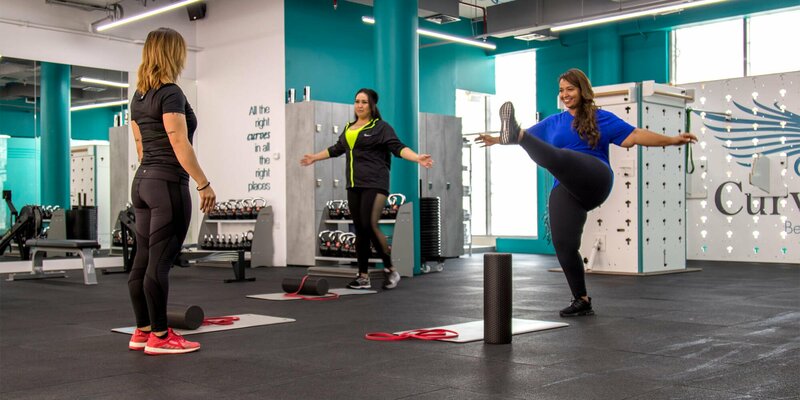 At Curvalicious Ladies Gym Dubai, we prefer to stick with the words ‘healthy lifestyle’ because any movement towards a healthy lifestyle is positive, sustainable and life transforming. If weight loss is a key part of your journey to a healthy lifestyle, then the most important thing to remember is that you can never out-train bad eating habits (sorry ladies!). The only way to achieve natural weight loss is to simply make sure that you always consume fewer calories than you are burning each day, and that is really the bottom line. Of course if you are an active member at the ladies gym and train on a regular basis, you can have more calories just as long as it is not more than you have burned. It really is that simple, we promise! To help keep you on track, the ladies at Curvalicious Ladies Gym Dubai have put together a short list of the 10 simplest (teeniest tiniest) tips and habit changes that can truly fast track natural and healthy weight loss. We all know the saying ‘out of sight out of mind’ and this 100% effective when it comes to our snacking weaknesses. Next time you are doing the weekly shop, skip past the crisp, biscuit and chocolate isle and head straight to the fresh veggies instead. Keep a tub of hummus in the fridge or make some guacamole with chopped fresh bell peppers and carrots for dipping? Fill up the snack drawers at home with nuts and maybe some dark chocolate for a treat. It doesn’t have to be all or nothing and of course you don’t have to give up everything you love. Just try to have as many healthy options around you as possible that can be on hand to stand in for that cheeky midday craving. If you know yourself to be easily tempted by sweet or salty treats, check out our blog article all about cravings, where they come from and how to beat them! This might seem like common sense but it’s all too easy to forget about the calories in drinks, as we don’t feel full in the same way after a drink as after a main course. Scientifically our brains actually don’t register fluid calories in the same way as solid calories and so our hunger is not suppressed as it should be afterwards. On top of this juicing, smoothies and liquid detoxes have been promoted all over the media as another ‘healthy diet’ trend. How many delicious fruit smoothies popped up on your Instagram feed just this morning? 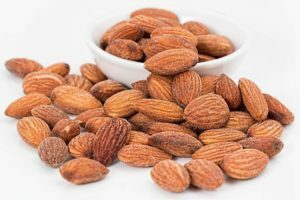 Of course they are packed full of vitamins, fibre and anti-oxidants, but it is important to remember that they are also often packed full of sugars too. Try swapping out juices and sodas for water or coconut water instead. If you really want some more flavour, experiment with some infused water recipes or add some more veggies in place of fruit to your smoothies. In line with the point above, sweet Lattes, Frappuccinos, Cappuccinos etc. all contain empty calories that you just don’t need. 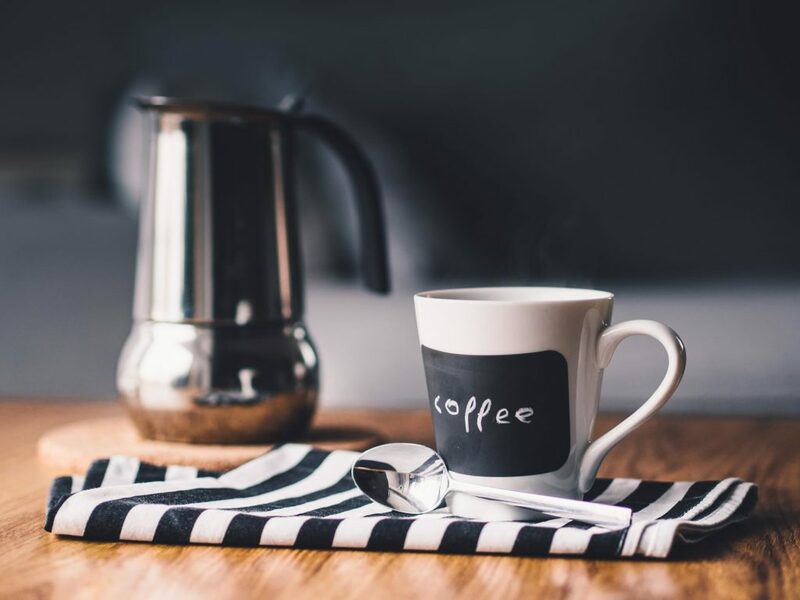 Of course it is important to have the occasional treat here and there, but if you are an avid coffee lover in need your regular caffeine fix, then why not try taking your coffee black? Zero calories and we’re lucky in Dubai to have so many amazing quirky cafés serving delicious specialty coffee from all over the world! ‘Mindful eating’ is based on a Buddhist concept called ‘mindfulness’ which, in essence, is the simplest form of meditation. It just involves focusing on your body, your surroundings and any physical sensations to help you detach from distracting thoughts and emotions. Mindfulness has become hugely popular in the treatment of stress, anxiety as well as weight loss and gut related disorders. All you need to do to give this a try is to slow your eating down. Make a conscious effort to put the fork and knife down every now and again and really take the time to enjoy every mouthful and be in the moment. What flavours do you notice? What are the textures like? It might seem so simple but just slowing down and really taking the time to pay attention can make a huge difference. Read more quick tips on how to practice ‘mindful eating’. Drinking water is extremely underrated when it comes to weight loss. The main reason is that drinking plenty of water delays the hunger cue. I’m sure we can all relate to that feeling of fullness after quickly downing a bottle of Masafi post workout! A 2015 study from the University of Oxford found that when you feel ‘hunger’, drinking water before you eat, would show you how hungry you truly are. 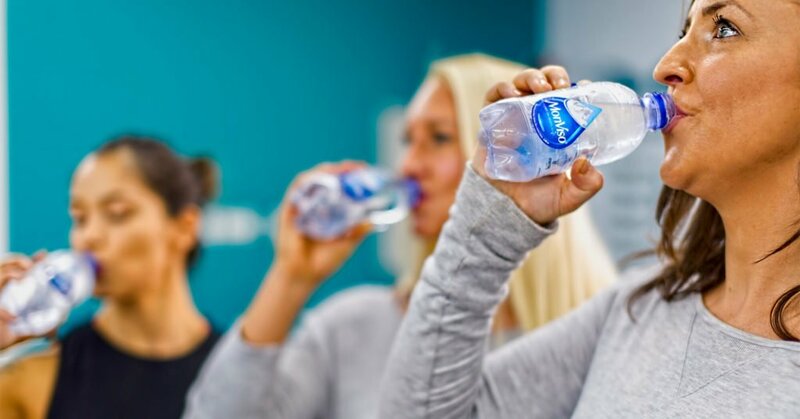 In the study everyone that drank 16 ounces (around 400ml) of water, 30 minutes before their meals, consumed less calories and lost significantly more weight by the end of the study! This is just simple mind trickery but it really does work and apparently studies show it works best when we serve ourselves, as we’re more likely to feel inclined to polish our plates when we feel accountable to the person that has fed us. As ladies living in Dubai we are slightly more challenged when it comes to this as dinner parties and gatherings are a huge part of Arab culture, food is love! So if we have to finish a plate (it would be rude not to) then our best option left is to choose a smaller sized plate! You might already be familiar with this as more evidence points towards the fact that eating smaller regular meals is much better for our body’s metabolism. Not allowing ourselves to go too hungry for too long also means that we’re less likely to binge on something unhealthy or eat a large portion to compensate too quickly. Include some more veggies into your meals if you can. 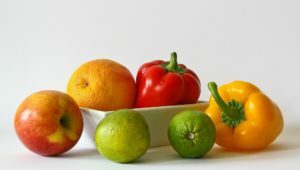 Not only are they packed full of nutrients, they there are much lower in calories than other forms of carbohydrates. Vegetables are also an important source of fibre, which helps you to feel fuller without adding too many extra calories to your meal. Rule no. 1 – Never go to the shops without a plan, or worse, without a plan and hungry! You will find all kinds of things magically end up in your shopping cart that you didn’t need. The best thing to do is make a list of everything you need for your meal with a few healthy snacks to keep you going in between. Last but not least – get some sleep! Similar to drinking water, getting good quality sleep on a regular basis is extremely underrated when it comes to weight loss. Poor quality sleep can even result in unwanted weight gain! If you can, a few hours before bed, log off, put your phone away and grab a book from the shelf. Simply removing ourselves from technology a good few hours before bed-time can have a profound affect on sleep quality. If you are based in Dubai and have been struggling to meet your weight loss goals, we are a Boutique Ladies Gym based in Nad Al Hamar that not only offers a private place to train but also individual guidance on training and nutrition. If this sounds like the place for you, just fill in the form below and we will be in touch with you as soon as we can! What is it like Training at our Ladies Only Gym in Dubai?